A lesser known character from the Mughal Empire is princess Zebu-n-Nisa, the eldest daughter of Emperor Aurangzeb. Unlike her puritanical father, Zebu-n-Nisa was a Sufi poet and did not share her father’s orthodoxy. Zeb-un-Nissa did not get married and remained single her whole life, despite the fact that she had many suitors. Her grandfather, Emperor Shah Jahan, had betrothed her to her first cousin, Prince Suleiman Shikoh, the eldest son of her paternal uncle, Crown Prince Dara Shikoh. 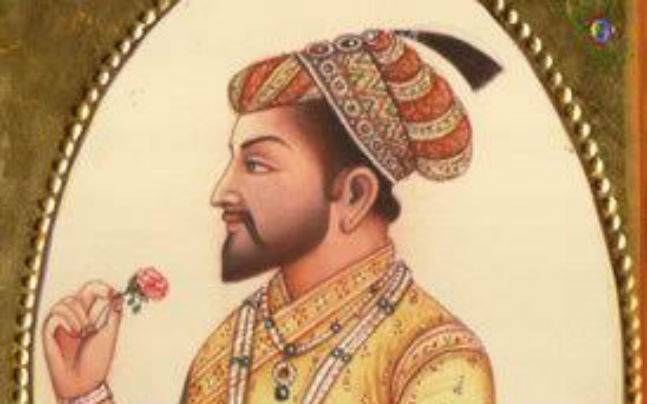 Shah Jahan had intended for her to become a future Mughal Empress as Sulaiman was the heir to Dara Shikoh, who was next in line for succession to the Mughal throne after Shah Jahan. The marriage would've been a perfect match but did not, however, take place due to Aurangzeb's reluctance, who hated his eldest brother, Dara Shikoh. “Oh Makhfi, it is the path of love and alone you must go. 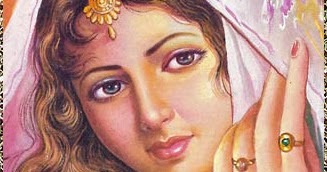 THE Princess Zeb-un-Nissa was the eldest daughter of the Mogul Emperor Aurangzeb of India, and was born in 1639. She came of a distinguished line, in direct descent from Genghiz Khan and Tamerlane. Some of her poetry, written under the pen-name "Makhfi" ("the hidden one") circulated among her contemporaries. 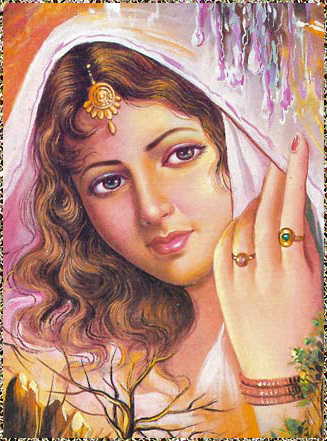 Many of Zeb-un-Nissa's poems are clearly expressions of her Sufi belief, expressing a personal devotion to Allah. The woman had no luck in love. Her father poisoned one suitor, the son of a political rival. In the beginning of 1662 Aurangzeb was taken ill, and, his physicians prescribing change of air, he took his family and court with him to Lahore. At that time Aquil Khan, the son of his vizier, was governor of that city. He was famous for his beauty and bravery, and was also a poet. He had heard of Zeb-un-Nissa, and knew her verses, and was anxious to see her. On pretence of guarding the city, he used to ride round the walls of the palace, hoping to catch a glimpse of her. One day he was fortunate; he caught sight of her on the housetop at dawn, dressed in a robe of gulnar, the color of the flower of the pomegranate. She liked Lahore as a residence, and was laying out a garden there: one day Aquil Khan heard that she had gone with her companions to see a marble pavilion which was being built in it. He disguised himself as a mason, and, carrying a hod, managed to pass the guards and enter. They met again and again, but some rumour reached the ears of Aurangzeb, who was at Delhi, and he hastened back. He wished to hush up the matter by hurrying her into marriage at once. Zeb-un-Nissa demanded freedom of choice, and asked that portraits of her suitors should be sent to her; and chose naturally that of Aquil Khan. Aurangzeb sent for him; but a disappointed rival wrote to him: “It is no child’s play to be the lover of a daughter of a king. 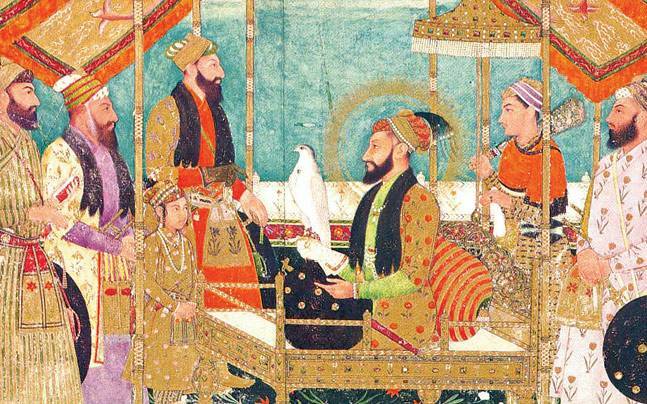 Aurangzeb knows your doings; as soon as you come to Delhi, you will reap the fruit of your love.” Aquil Khan thought the Emperor planned revenge. But he came secretly to Delhi to see her again, perhaps regretting his fears. Again they met in her garden; the Emperor was told and came unexpectedly, and Zeb-un-Nissa, taken unawares, could think of no hiding-place for her lover but a deg, or large cooking-vessel. The Emperor asked, “What is in the deg?” and was answered, “Only water to be heated.” “Put it on the fire, then,” he ordered; and it was done. One of her verses says, “What is the fate of a lover? It is to be crucified for the world’s pleasure.” One wonders if she thought of Aquil Khan’s sacrifice of his life. In 1681, Zeb-un-Nissan's brother Akbar attempted to usurp their father’s position as emperor. Aurangzeb prevailed, Akbar fled to safety, and the emperor accused Zeb-un-Nissa of betrayal, based on her correspondence with her exiled brother. Although he reconciled with Akbar, the emperor imprisoned Zeb-un-Nissa in the fort at Salimgarh. He held her captive for the twenty years until her death in 1702. If you wish to offer your beauty to God, give Zebu-n-Nisa taste. Awaiting the tiniest morsel, she is right here. Zeb-un-Nissa died in1702. There is some controversy regarding the location of her tomb but Maasir-i-Alamgiri clarifies this, News came to the Emperor from Delhi that Zeb-un-nisa Begum had died. The Emperor was so saddened by the news as to shed tears, but had to resign himself to God's will. Order was sent to Sayyid Amjad Khan, Shaikh Ataullah, and Hafiz Khan to give alms (for the benefit of her soul) and build her tomb in the appointed place, namely the Garden of Thirty-thousand" trees outside the Kabuli Gate of Delhi. But, in 1885, her tomb was shifted to Akbar's mausoleum at Sikandra when the railway lines were laid out in Delhi. Written by Engr Maqbool Akram with help of materials and photos available at net with thanks.